Obsessive Compulsive Disorder is fairly common in people. It can be cured and helped with therapy. Many celebrities are known to be suffering from OCD. The word Obsessive Compulsive Disorder (OCD) is a medical term for a common and chronic disorder, wherein the person suffering has uncontrollable and obsessive behaviour. This is usually a repetitive action that takes precedence. 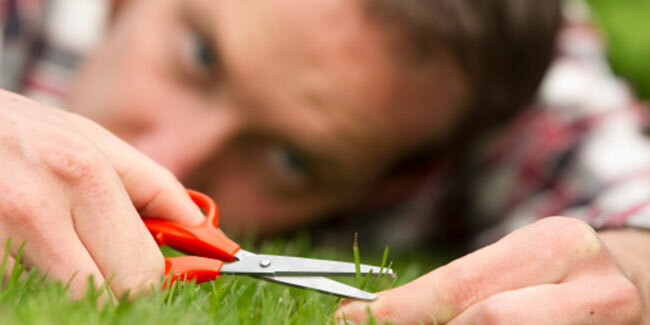 People with OCD are more alert, and have a fear of something, leading to heights of anxiety. This can include fear of germs, taboo thoughts, aggressive thoughts towards the self and others, and quite commonly, the urge to arrange things in perfect order. Sometimes it has been found that it is not about just doing things repetitively, but simply double checking, like checking the locked door twice before leaving. The disorder is common among men and women, and we are here to tell you that your favourite celebrities suffer from it too. OCD can be a tricky thing to deal with, so here are some stories from famous people. The legendary jazz singer was supposedly obsessed with cleanliness. Sinatra’s wife, Barbara Sinatra wrote in her memoirs, how Frank Sinatra would take multiple showers on daily basis, sometimes as many as 12. Sinatra was also known to wash his hands regularly, obsessively. By far one of the most celebrated footballers of all time, David Beckham is known to have been suffering from OCD as well. The footballer admits that he gets irritated when he finds that objects are not in a straight line. He also has special good luck rituals before a game. The footballer has also mentioned that hotel rooms irk him to a great extent, because he has to rearrange everything in it before sleeping. One of India’s best known celebrities, Chopra has also agreed that she has OCD. She has a sort of obsession with her work, and she drives herself way too far in preparing for the character she is playing. Such an obsession is definitely unhealthy, which may lead to health issues. The American President-elect is a much talked about man, but did you know that he suffers from OCD? Trump is known to refuse to shake hands on many occasions, and is very obsessive about cleanliness. Of course he is wary of germs and diseases. He also does not like touching elevator buttons because they are touched by so many others. The recent Oscar winner for his performance in The Revenant is yet another example of OCD affected personality. As a child, Leo was obsessed with sidewalks, and was found going back to his routes so as to step on cracks and gum stains. Also, he had problems with doorways. An interesting fact is that Leonardo DiCaprio let his obsessive behaviour run wild in order to play his role in the movie, Aviator. The very popular Harry Potter actor has also admitted to suffering from OCD in his younger days. Apparently, the actor would take over five minutes to do something simple, such as switching off the light. This is because of rituals and ticks that he had to perform first. He also confessed to repeating every sentence he said, under his breath. Radcliffe is known to encourage other OCD victims to go under therapy. The famous singer and actor, Justin Timberlake is supposedly self-diagnosed. Timberlake is known to suffer from OCD which makes him stock up his refrigerator with food all the time. He gets anxious when refrigerator runs out of food, and is known to stock up with all sorts of foods. Timberlake also has problems with misalignment, and pays special attention to aligning things in order.